The CBORD Group Inc. a provider of campus card and security solutions for colleges and universities, has launched its Campus Security Monitor that’s designed to pull together data from multiple applications in a unified interface, giving campus security at a glance a snapshot of on-going security operations around the college. This makes it easy to respond to security events in real time. 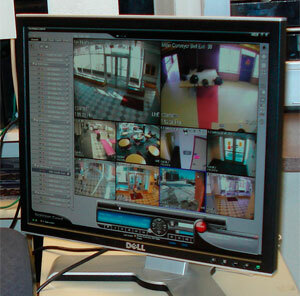 Users can view past and present access requests, monitor and respond to alarm states, view patron images related to specific events, and view live and recorded video linked to alarms, card swipes, motion, and camera tours. Security Monitor’s customizable interface lets users decide what information is most important, and presents it in an intuitive and actionable manner. Villanova University, near Philadelphia, Pa., has also implemented Security Monitor “to provide our dispatch officers with a user-friendly way to get alarm and access information,” said John Bonass, Villanova’s manager of University Card Systems.